Soil is increasingly recognized as an important non-renewable natural asset that should be properly managed to ensure sustainable development. 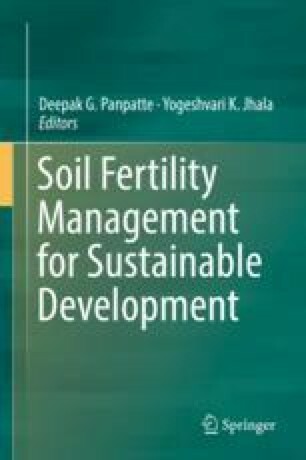 Hence, this review focuses on the assessment of soil health from an agricultural perspective, with emphasis on mulching as a sustainable strategy to improve soil fertility and productivity of arable systems. Although soil health is essential for sustainable development, sustainability can only be achieved when the system is resource conserving, socio-culturally supportive, commercially competitive, and environmentally friendly. Mulching has demonstrated efficacy to enhance soil health by reducing evaporation, increasing moisture retention, regulating temperature, enhancing nutrient availability and root absorption, suppressing weeds, decreasing salinity, encouraging biological activity, and controlling crop pests and diseases. Organic mulch materials are is commonly used in arable systems to improve soil health, but the use of inorganic plastic mulch has gained global importance in recent decades. Nonetheless, the extensive use of inorganic plastic mulch can cause a series of soil and environmental effects that may affect agricultural productivity and jeopardise sustainable development. Therefore, it is necessary to monitor agricultural soil health in relation to different mulching materials and local environmental conditions, so as to ensure sustainable development. Overall, inorganic mulching materials such as plastic films should be carefully selected in relation to specific needs of farmers and local environmental conditions, while organic mulching is a viable sustainable option to improve soil health and productivity.